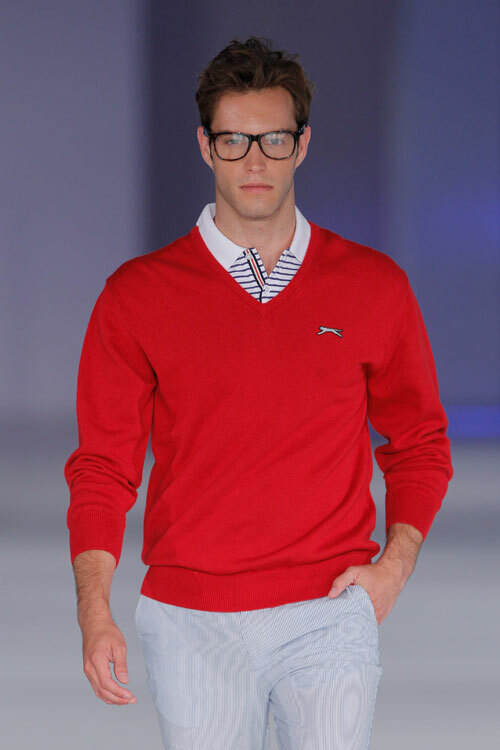 Slazenger was officially set up in 1881, although its roots go back to the early nineteenth century. 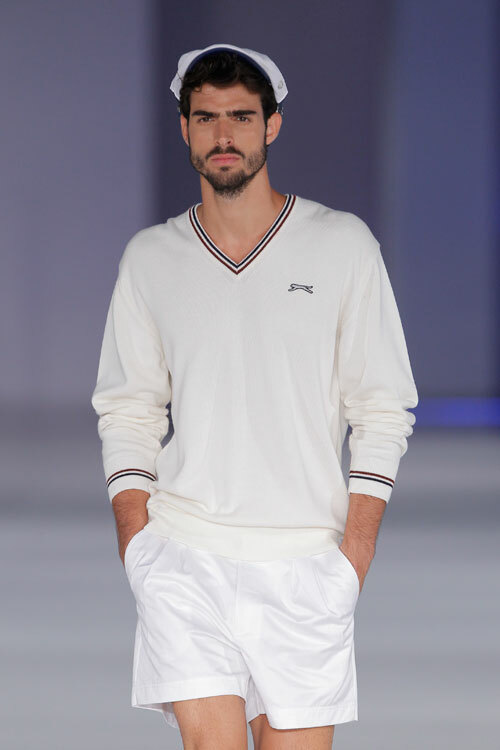 The brand has an impressive sports legacy. 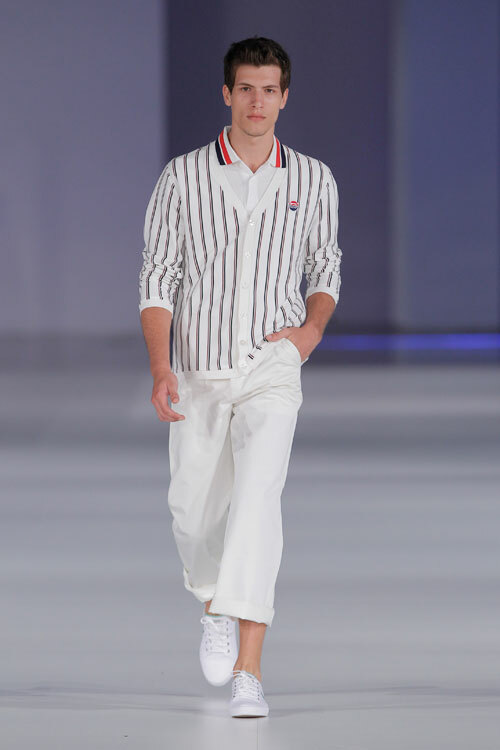 Just four years later than the All England Tennis and Croquet club had hosted its first championship, Slazenger introduced the new full tennis set on grass for the general public with a format similar to the one also created for croquet. 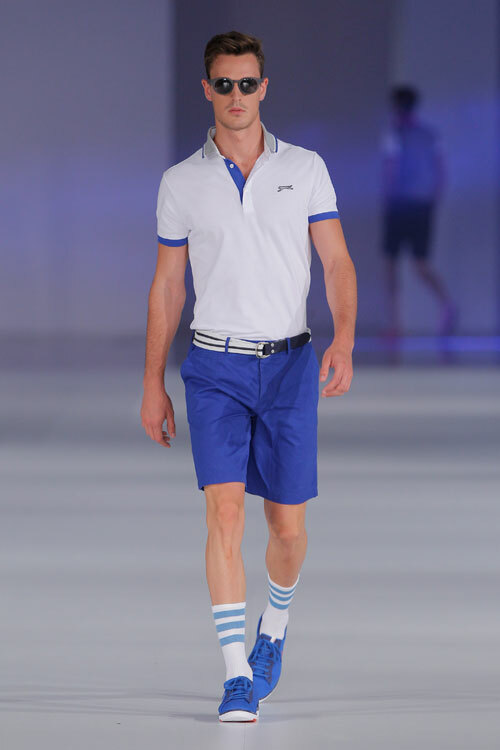 In 1902 Slazenger became the official sponsor and the supplier of the tennis balls in Wimbledon championships, being today the longest sponsorship in the history of sport. 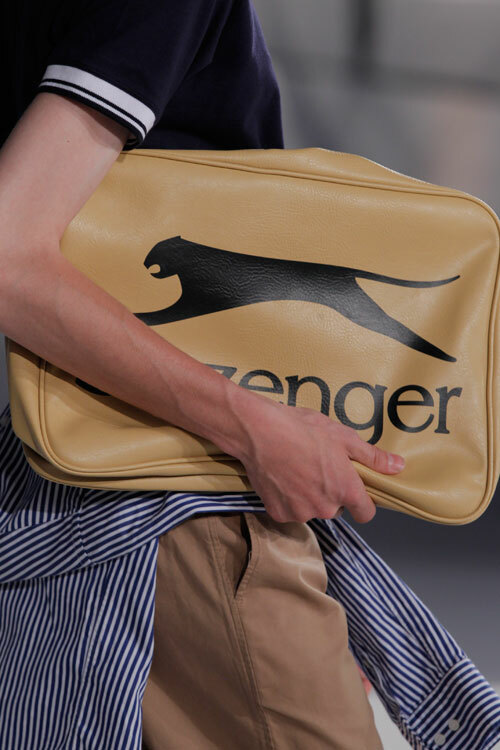 In 1966 Slazenger collaborated in the World Championship celebrated in England, wined by the local team, and was Slazenger the official sponsor of the ball tournament. 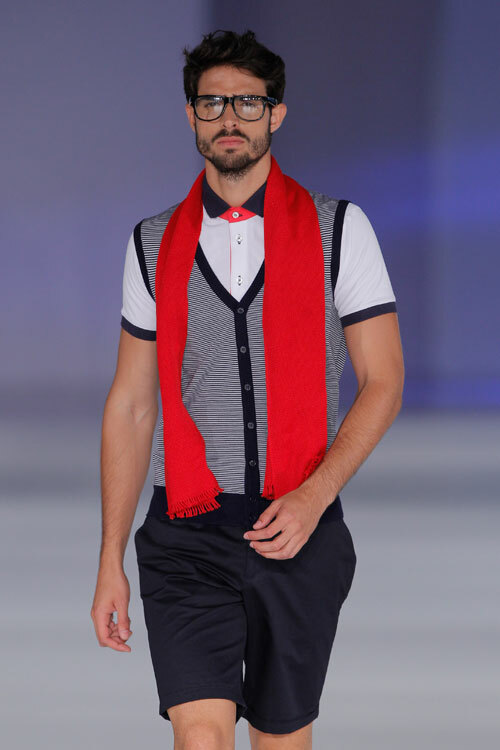 The brand created an orange ball specifically made for that tournament which can be seen today at the FN National Football Museum of Preston. 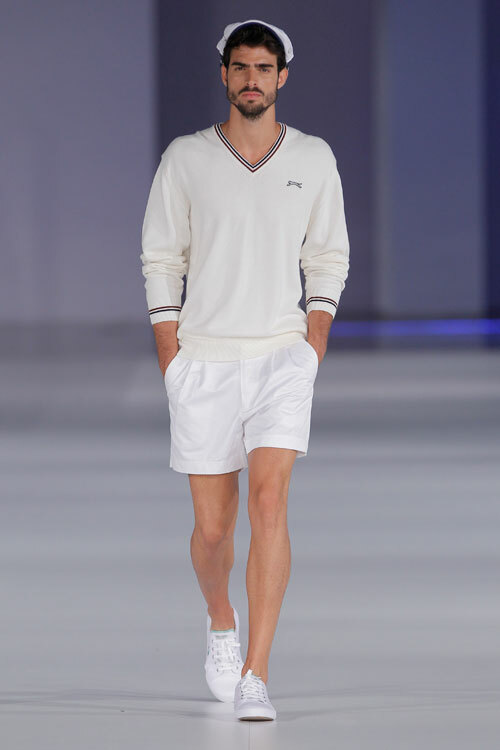 Besides tennis, croquet and football, Slazenger has also created a huge variety of sports equipments like golf, cricket, badminton, ping pong, squash, paddle, hockey, archery, shooting, bowling, sailing, and trial motorbike, as well as collaborated during the Second World War with the military uniforms for the army. 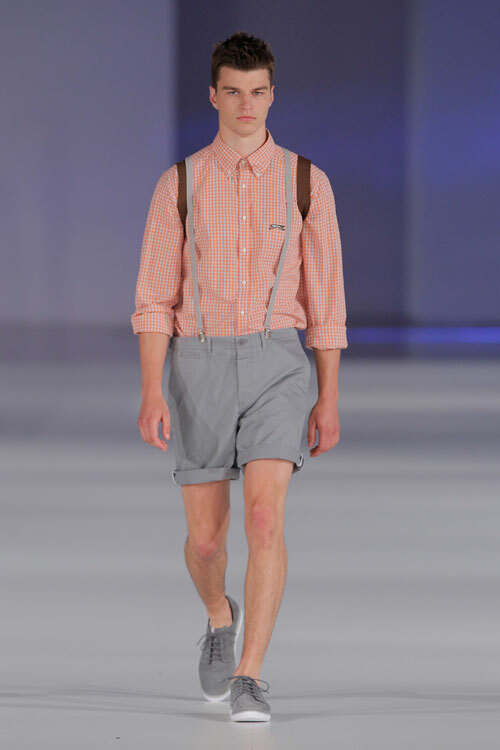 There are lots of particularities alongside its commercial and industrial story like the fact they fabricated uniforms for the army during the Second World War. 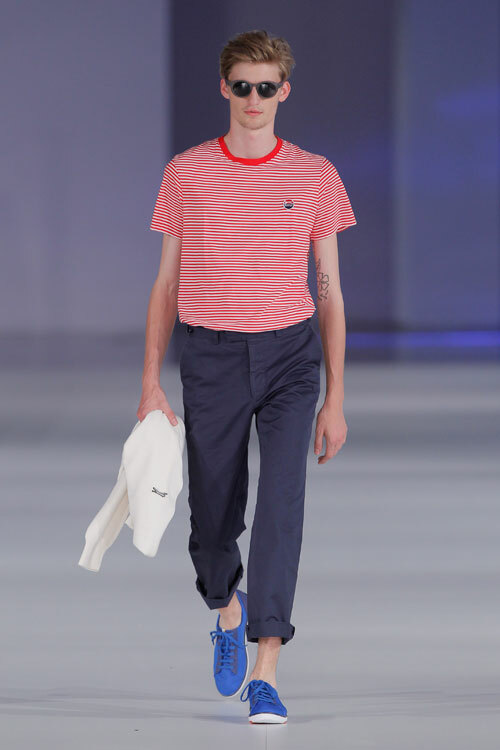 Also we can find great winners in tennis and golf, as Fred Perry and Severiano Ballesteros, gaining success together with the brand, the first one using Slazenger rackets and the second wearing clothes from the brand. 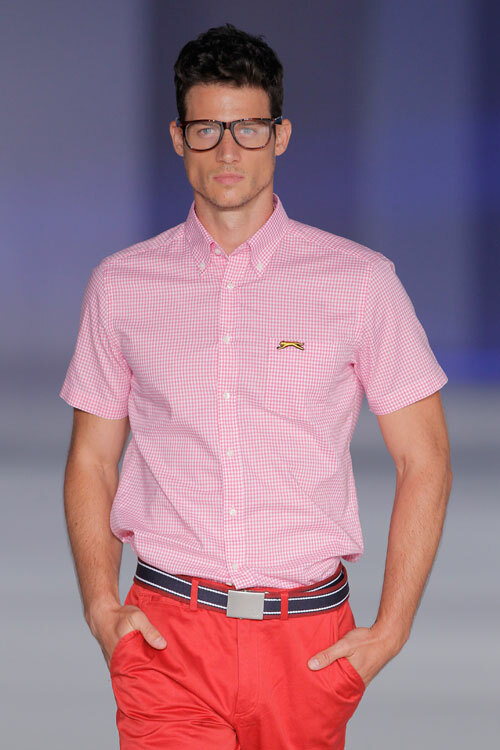 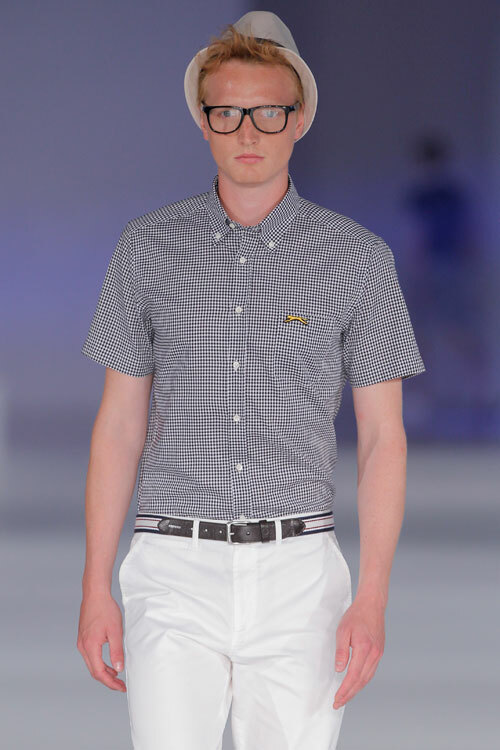 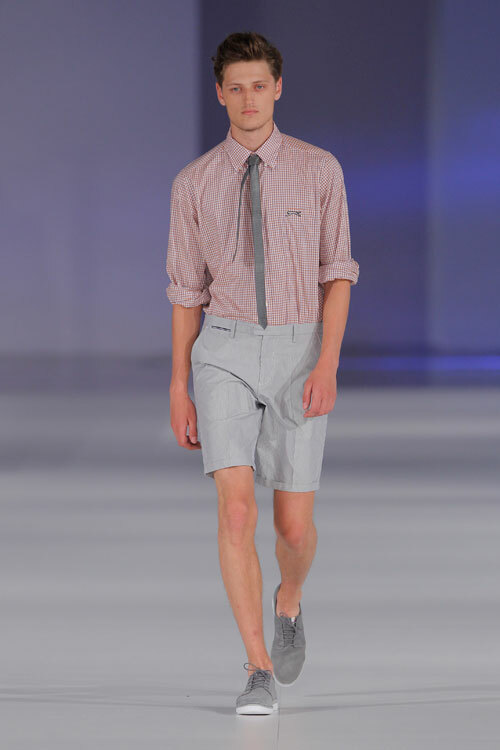 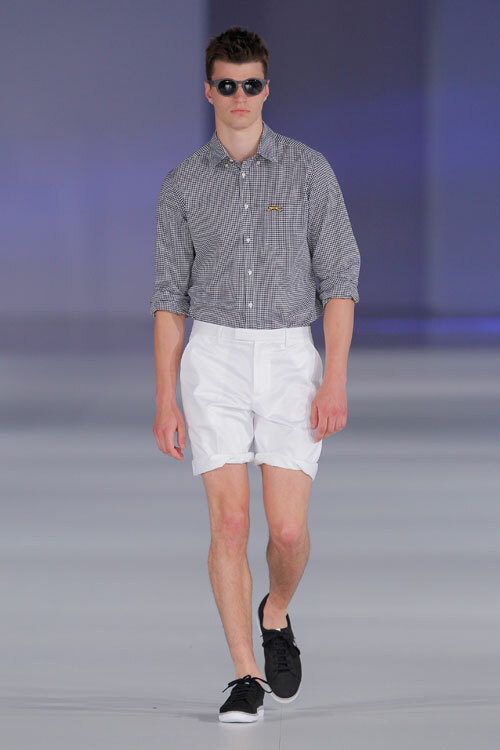 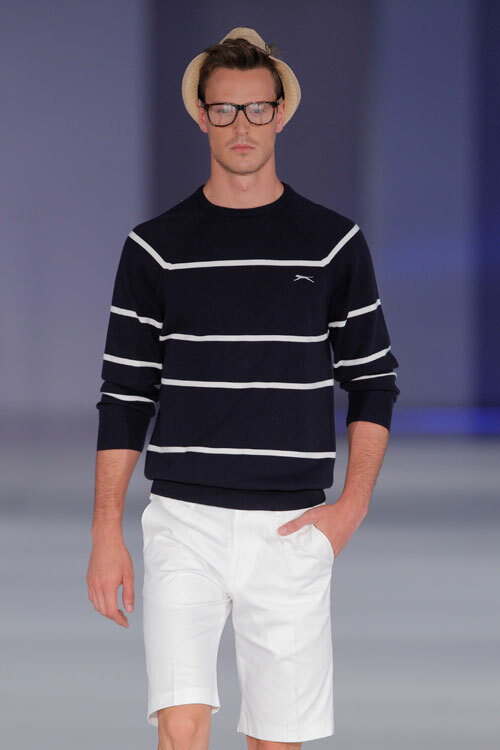 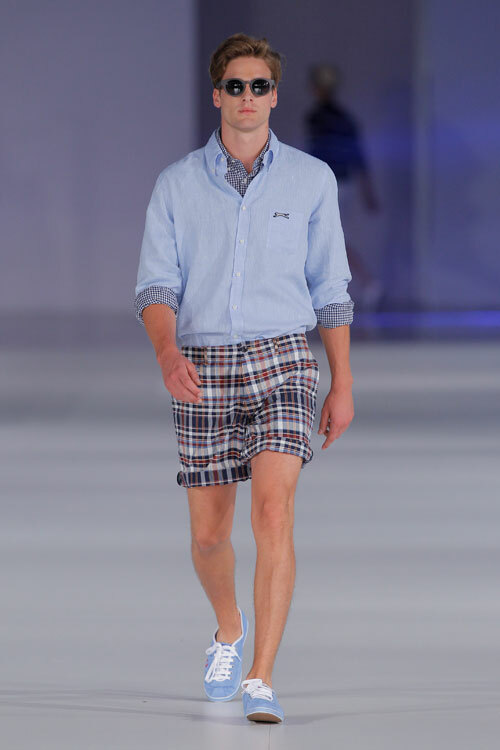 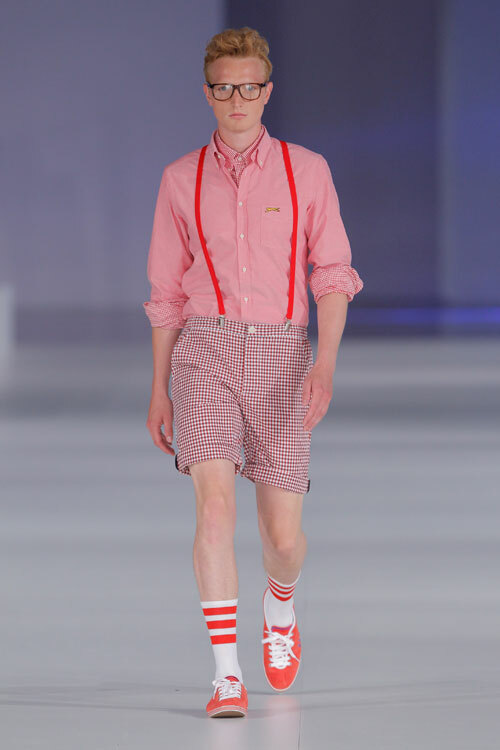 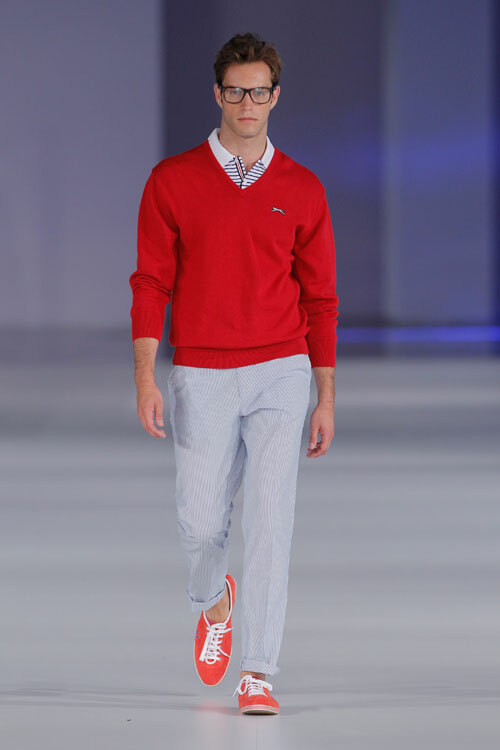 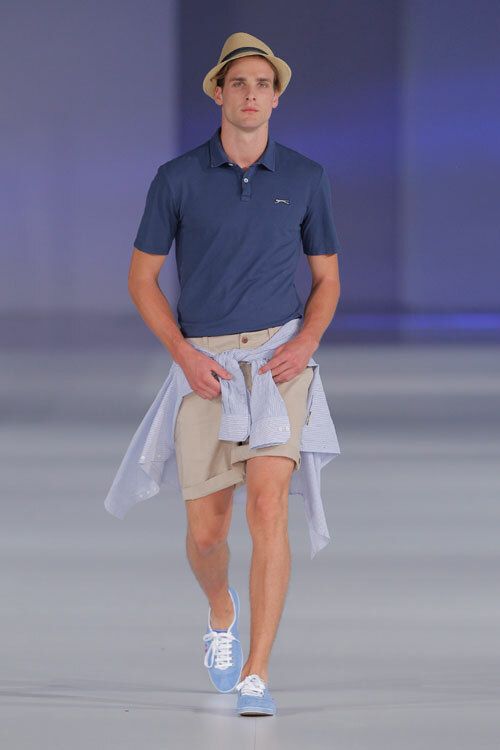 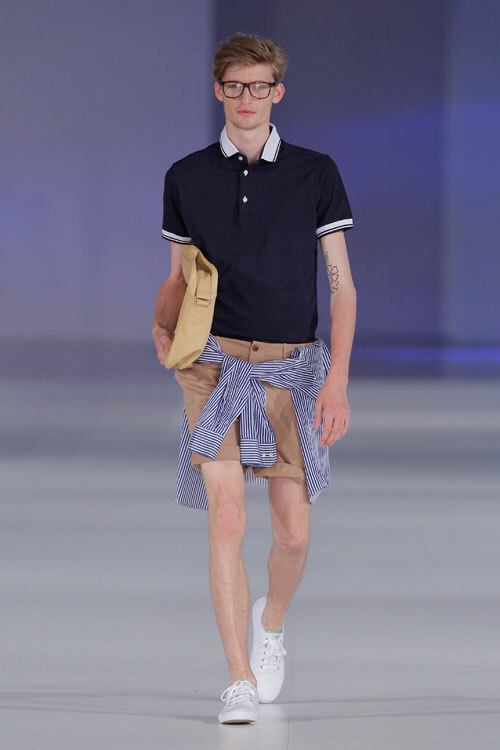 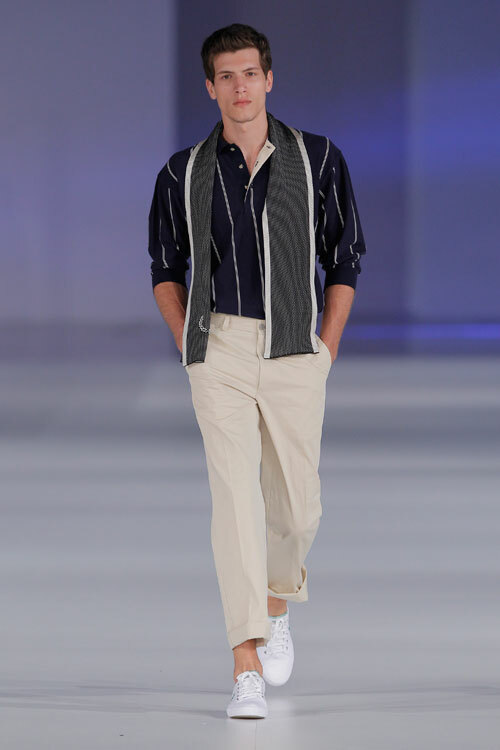 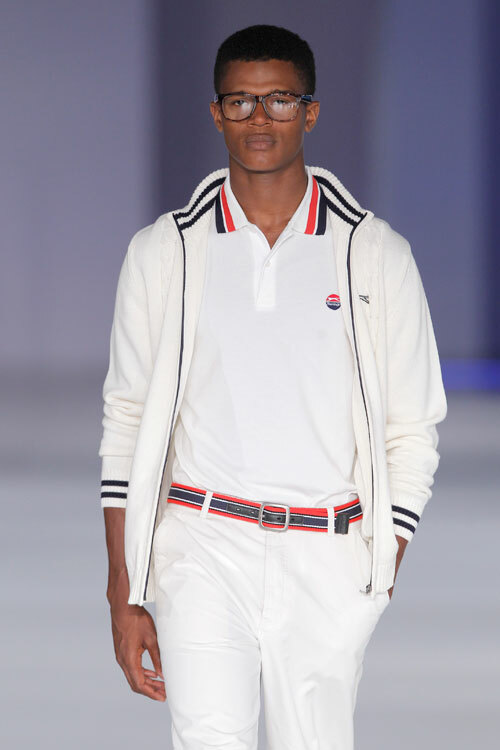 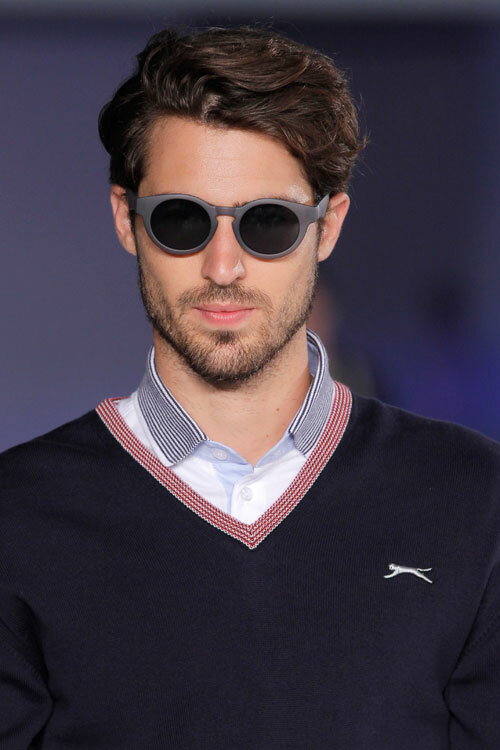 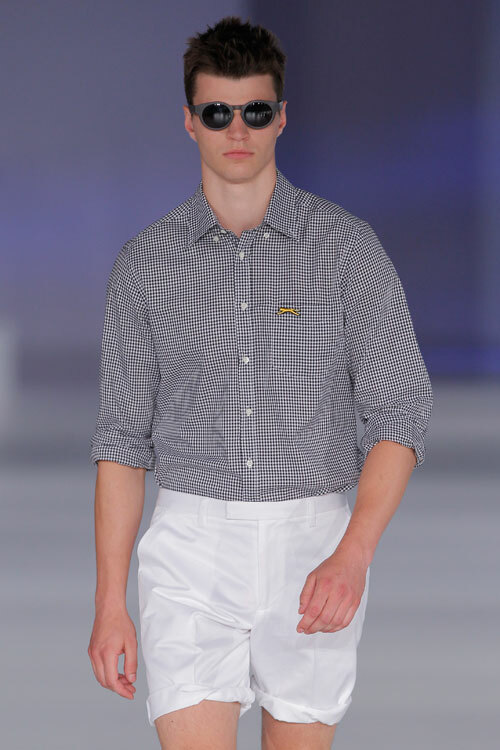 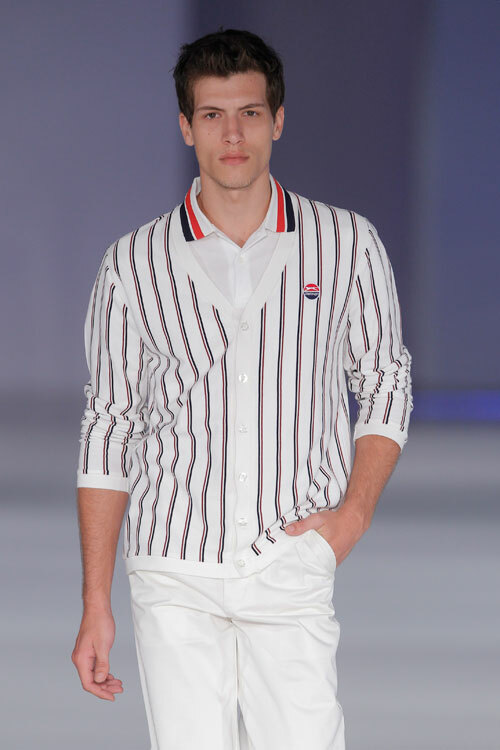 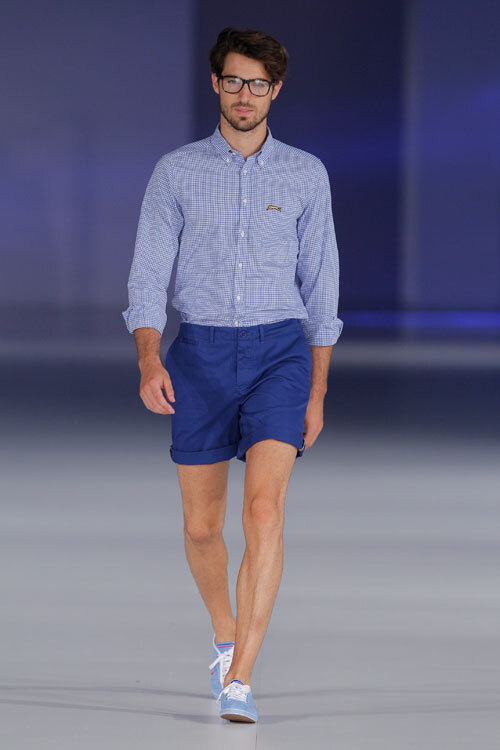 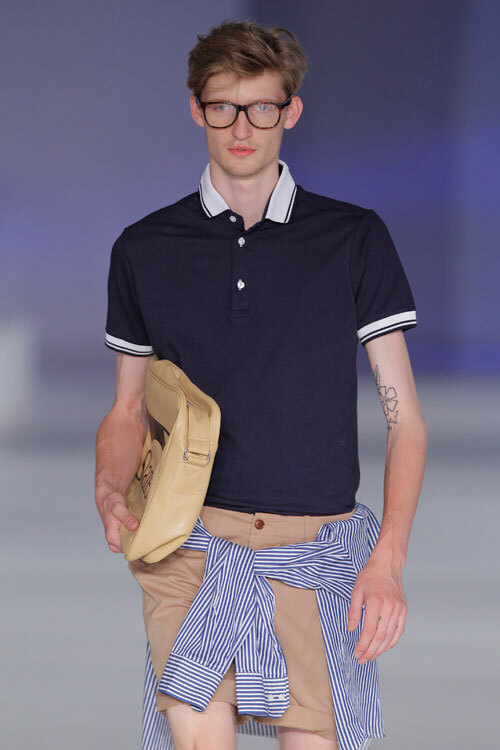 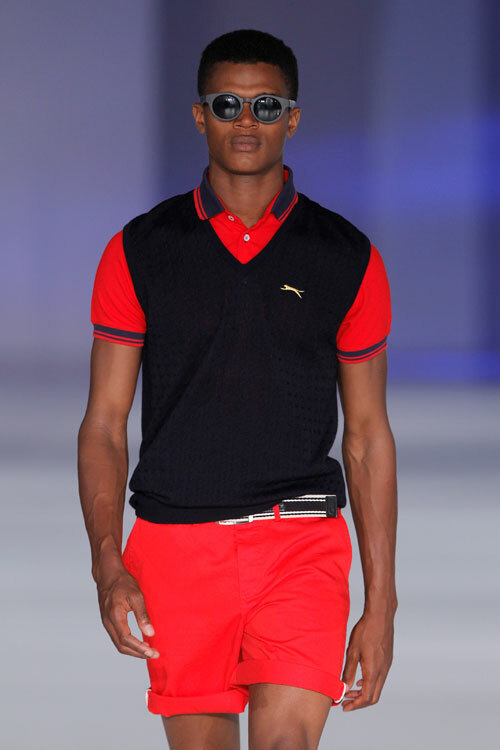 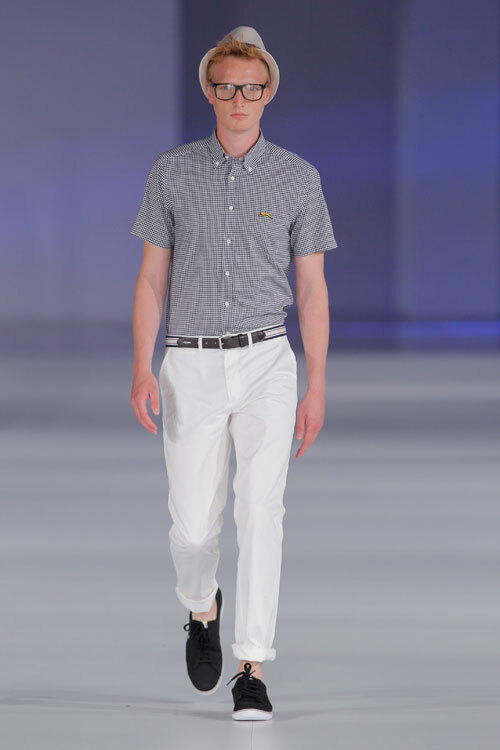 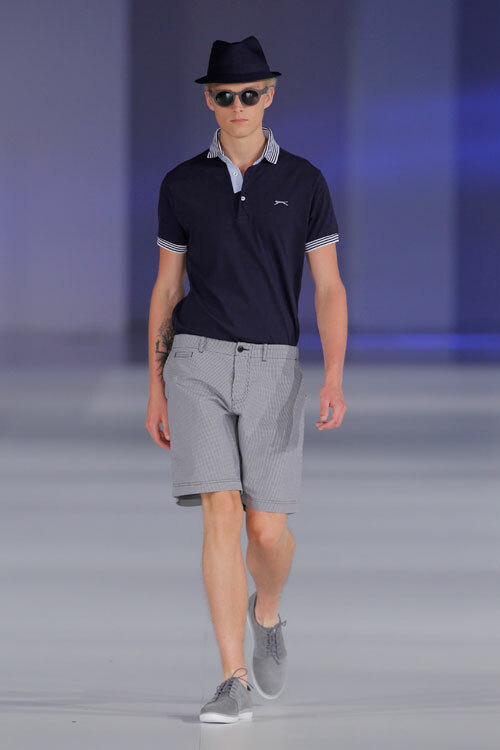 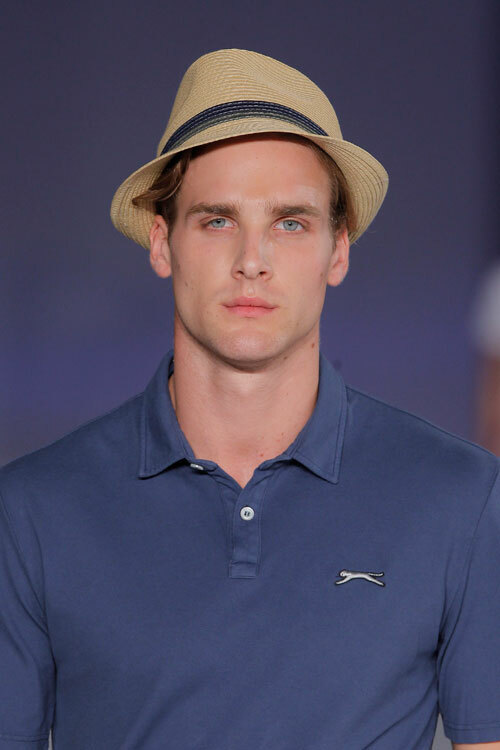 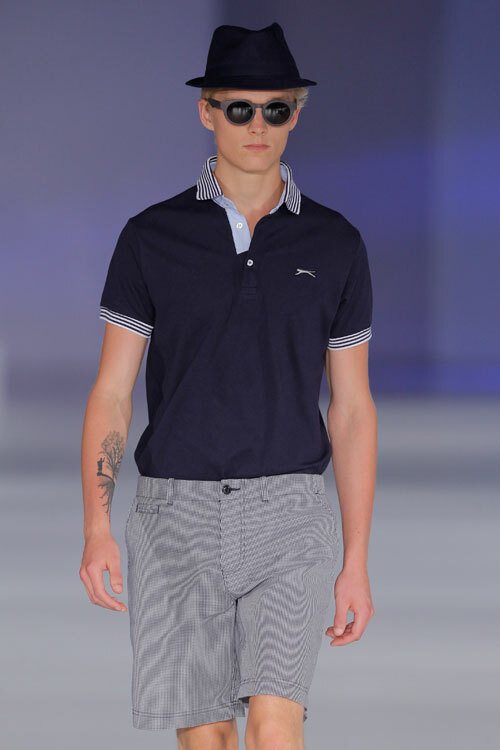 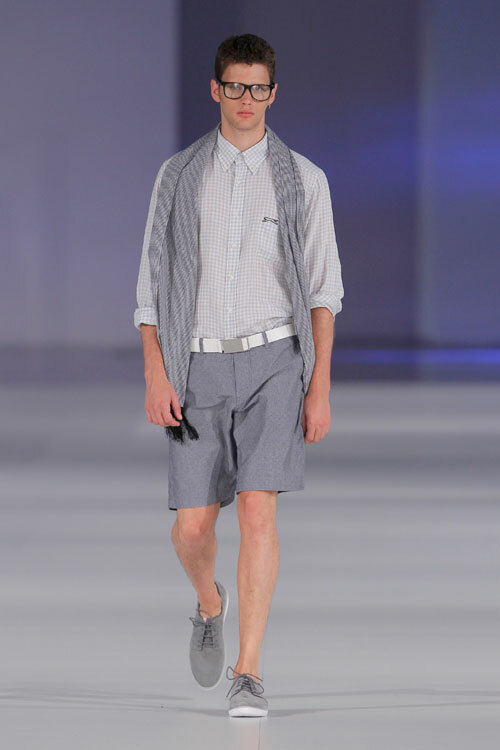 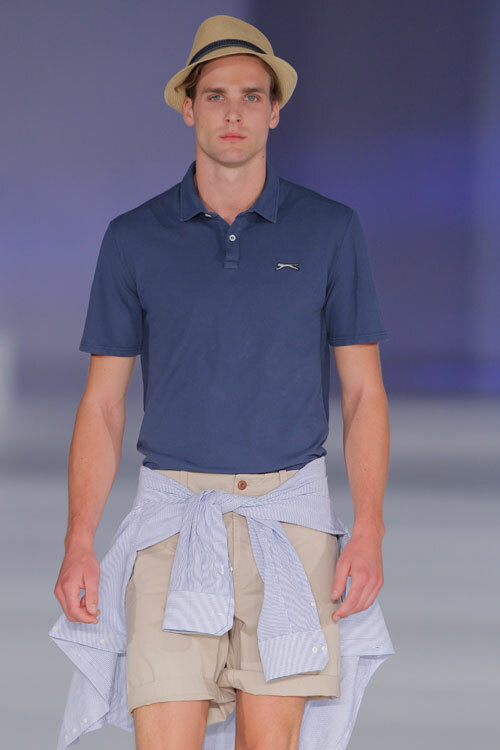 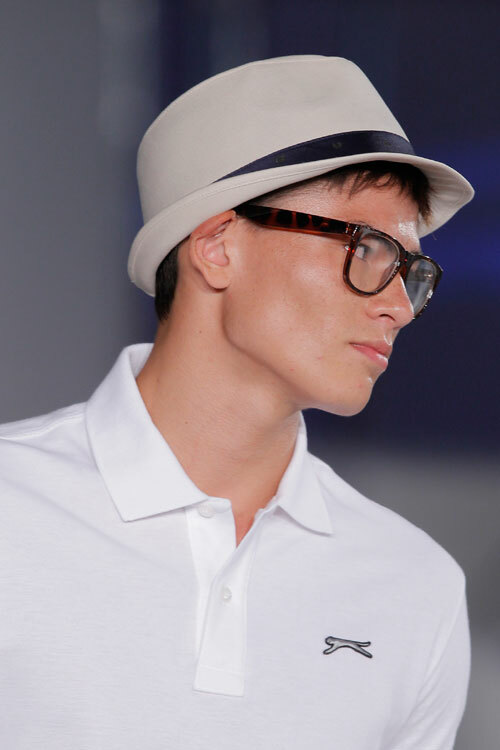 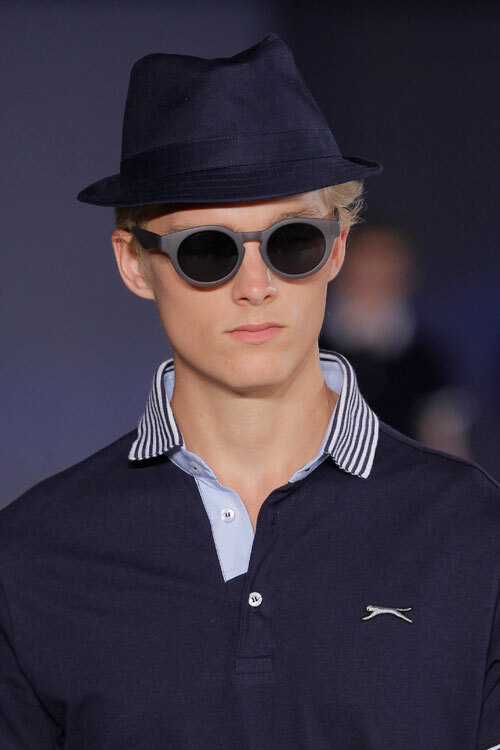 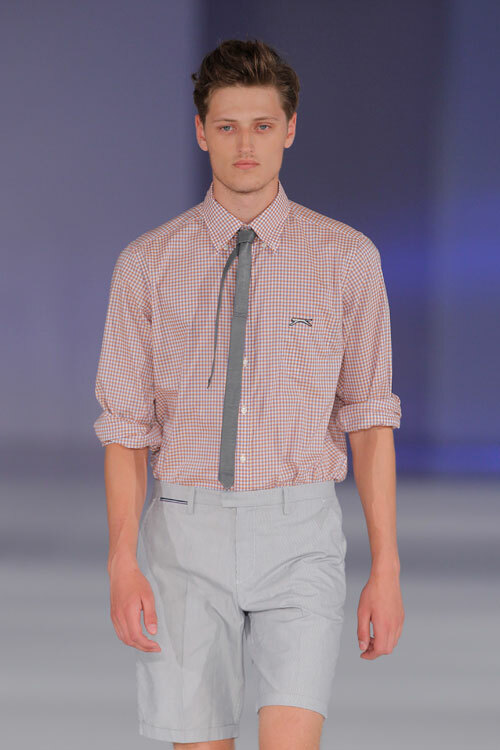 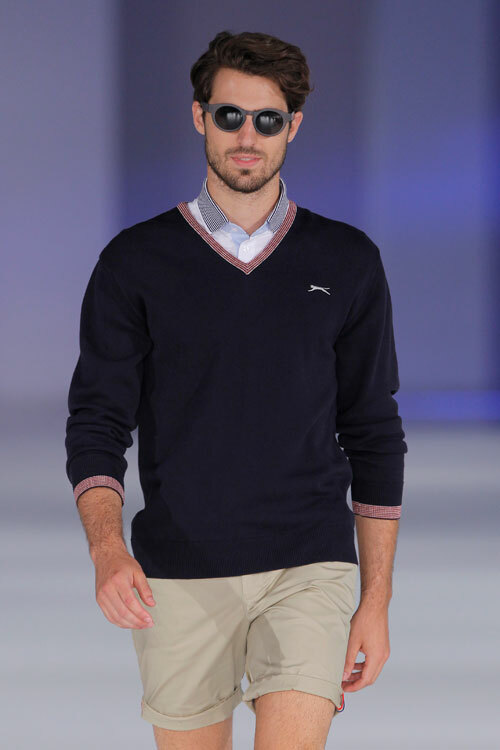 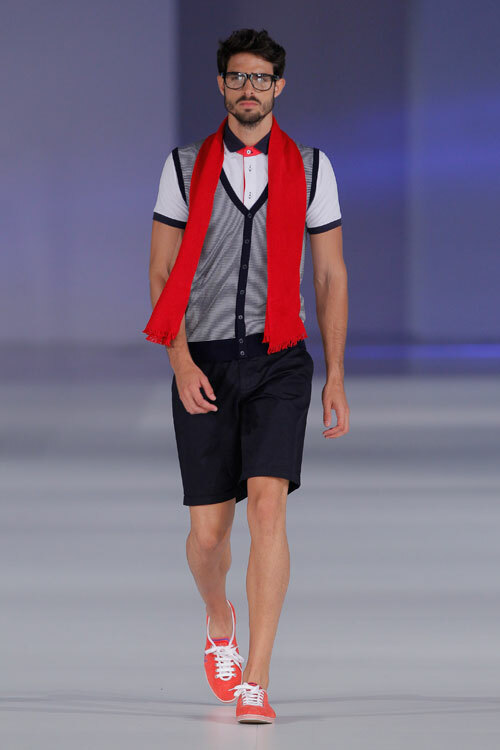 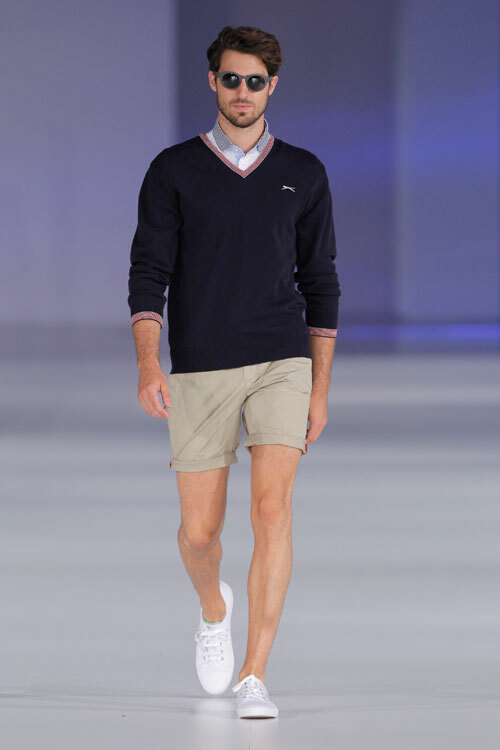 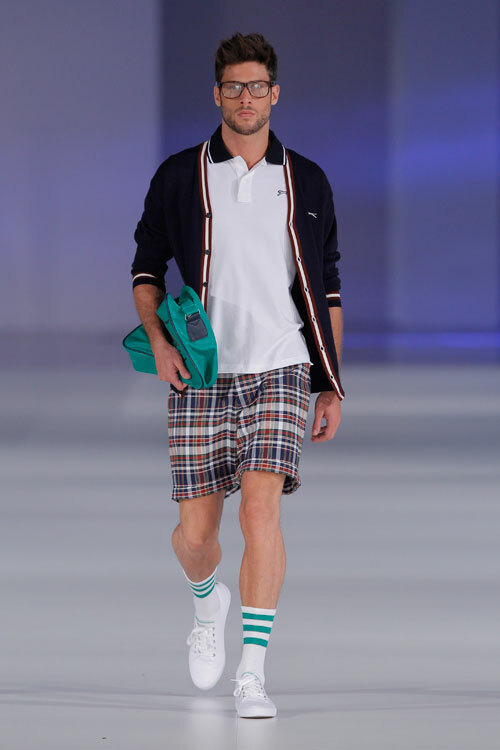 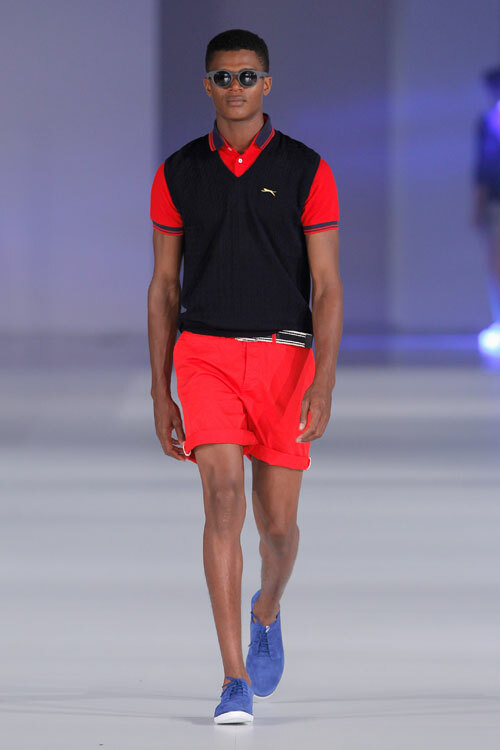 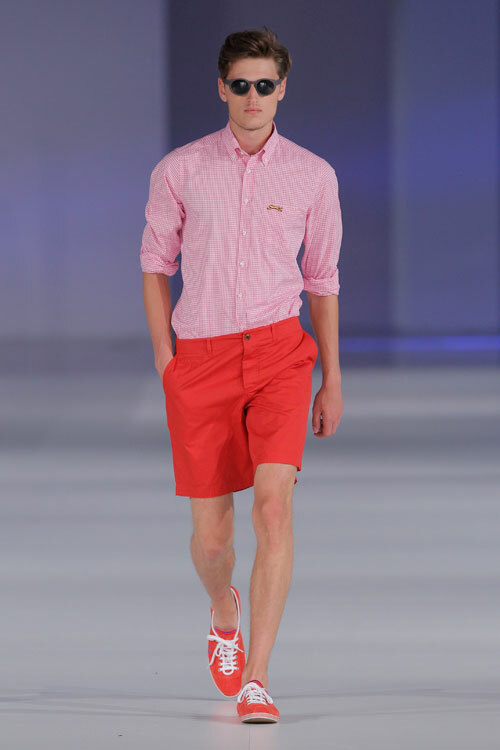 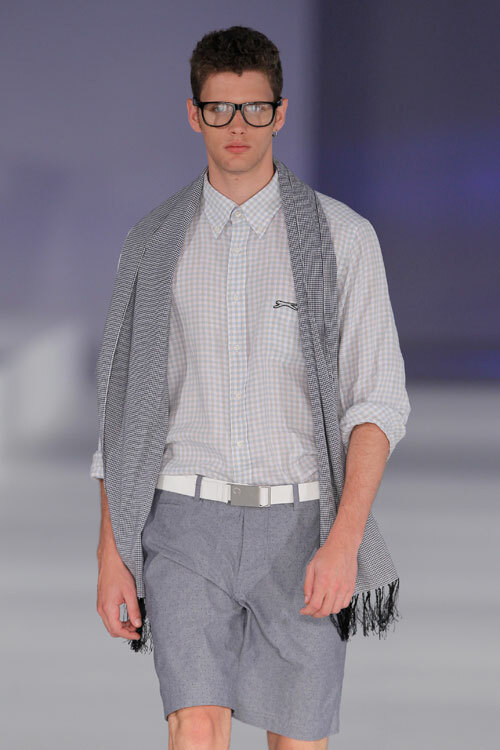 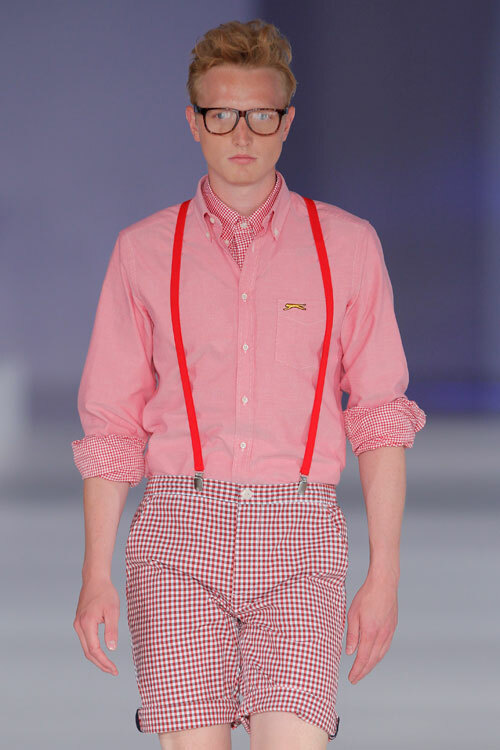 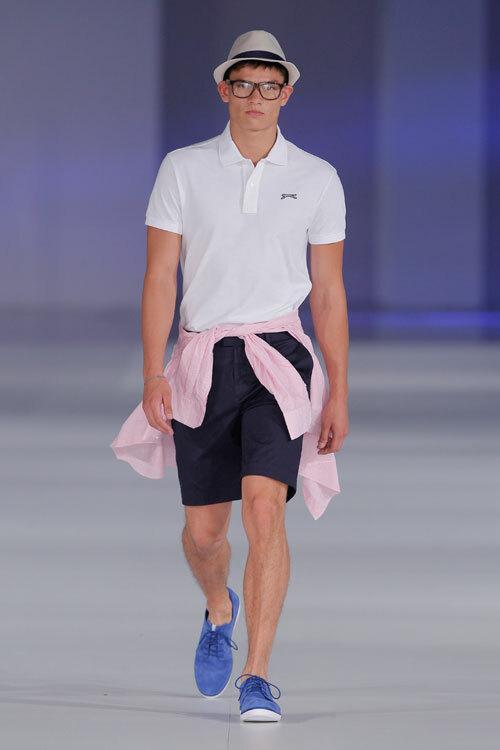 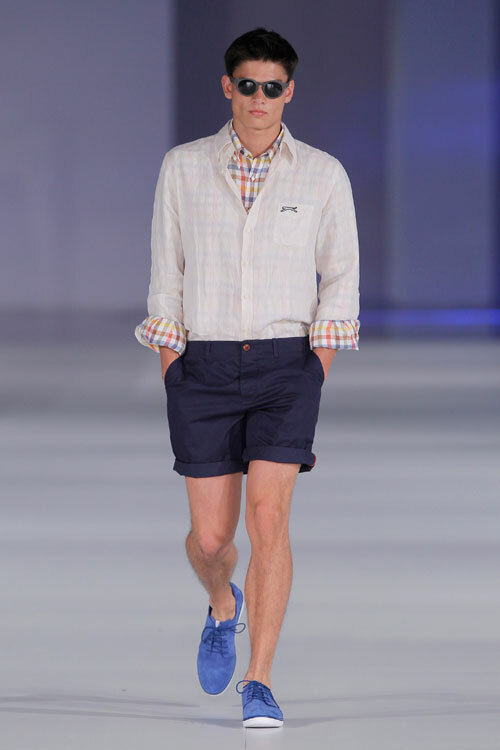 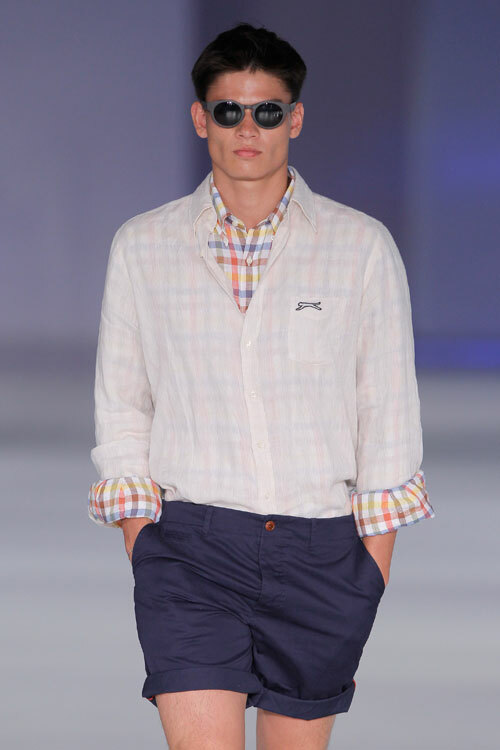 The Slazenger Heritage Spring-Summer ‘14 collection has a very particular style. 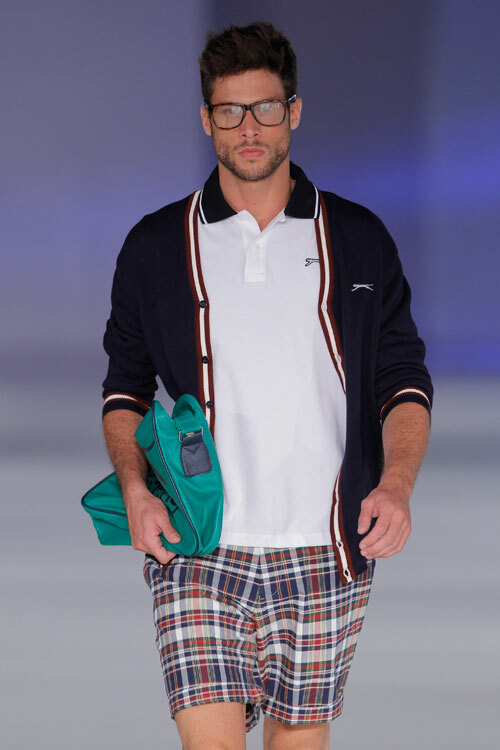 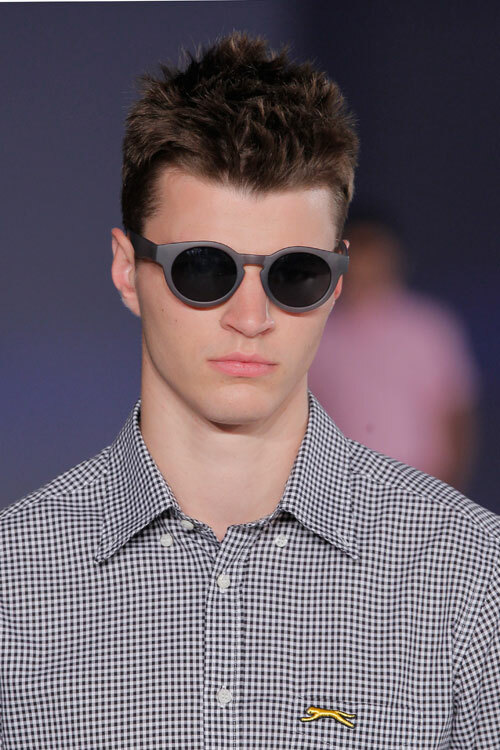 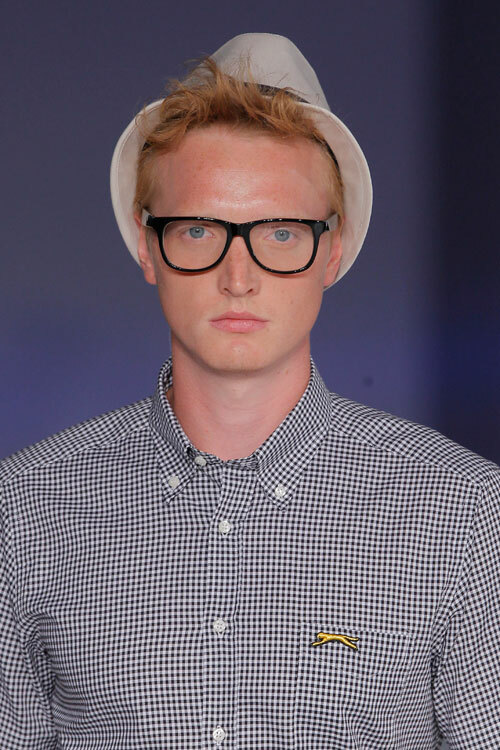 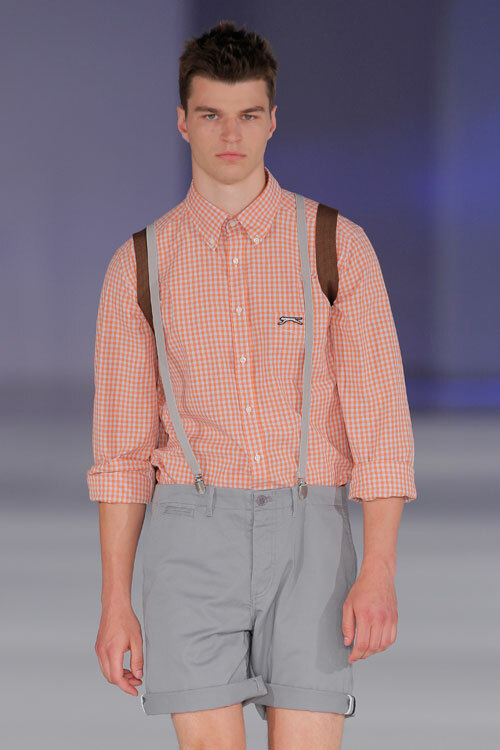 The garments are simplified and prints contained. 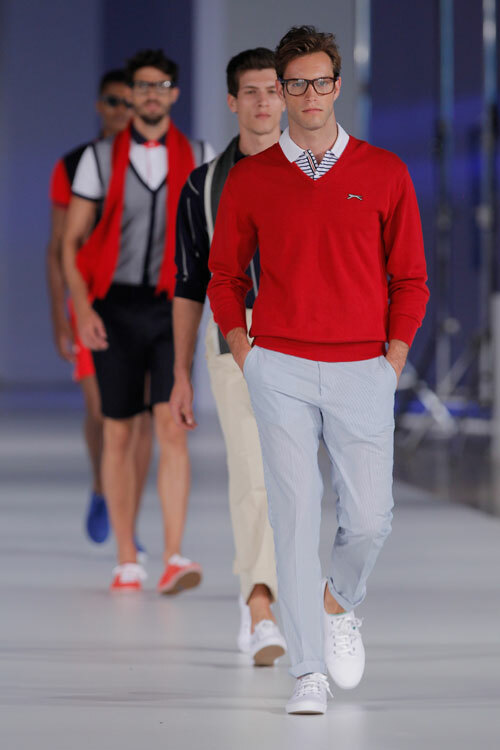 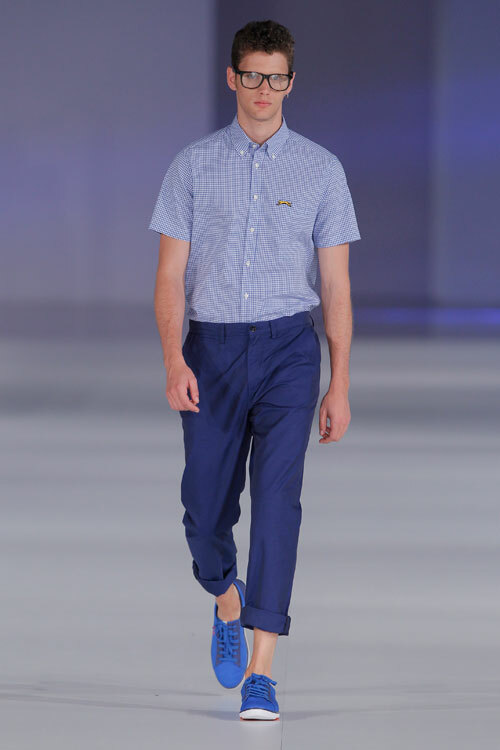 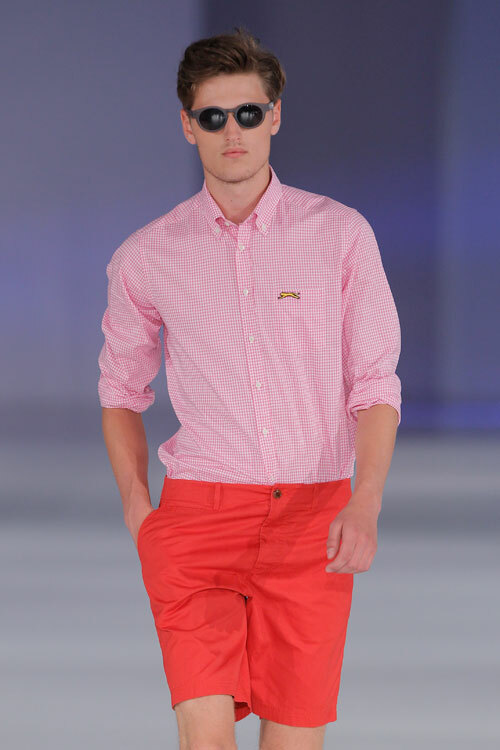 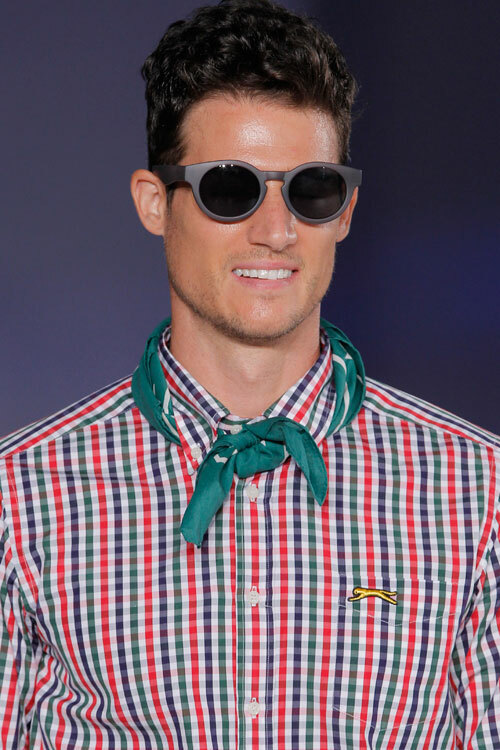 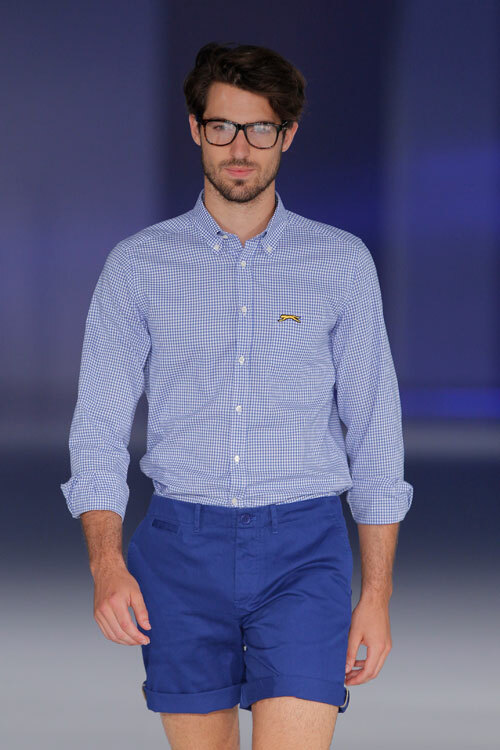 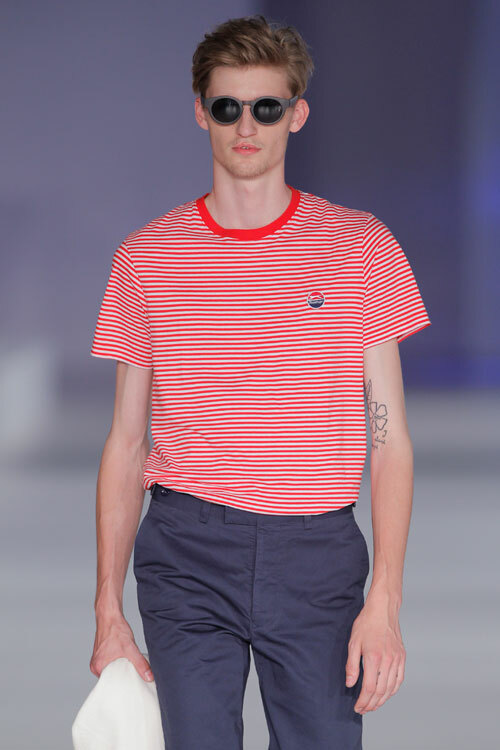 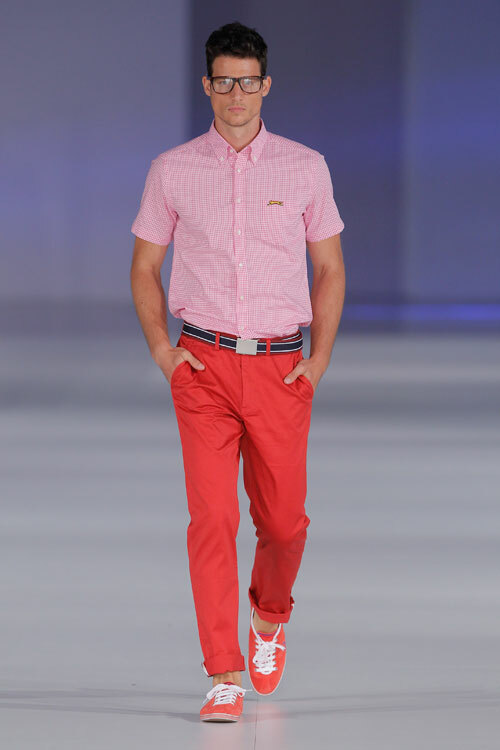 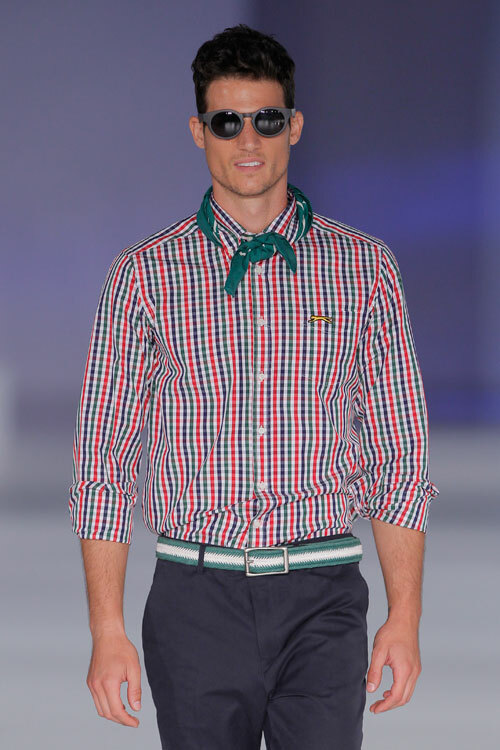 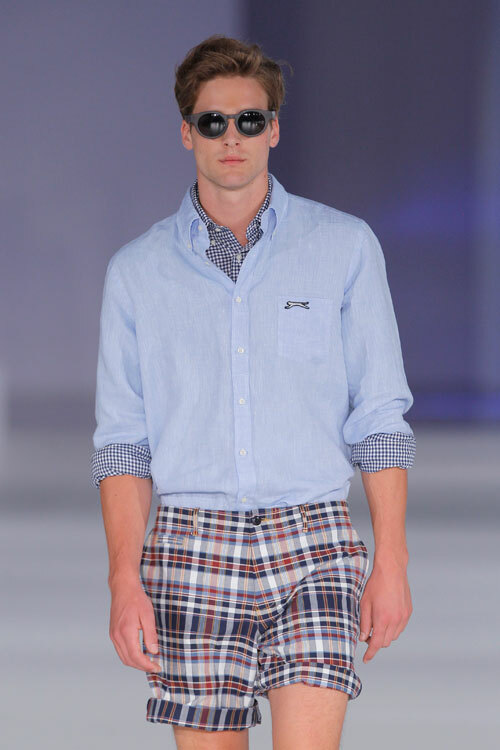 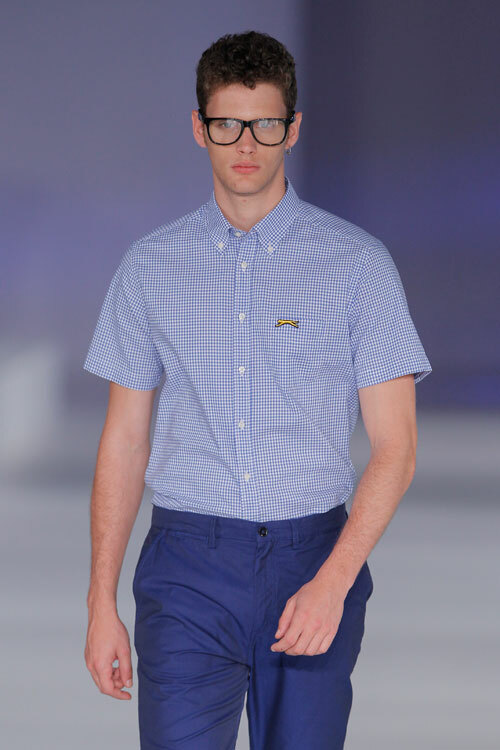 The brand returns to the polos using pastels, yellows, reds and greens but all bow to different ranges of blue. 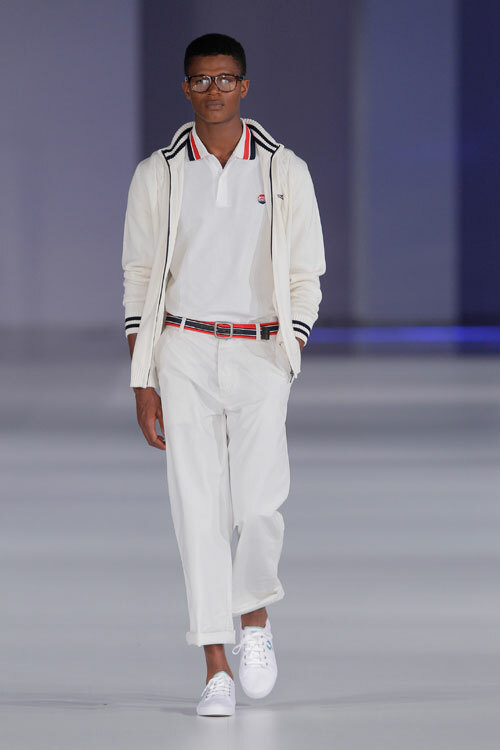 The sports world continues inspiring creators and Slazenger is not far behind, pushing the spirit of the traveler but with a soft, comfortable clothing and also making force on jumpers. 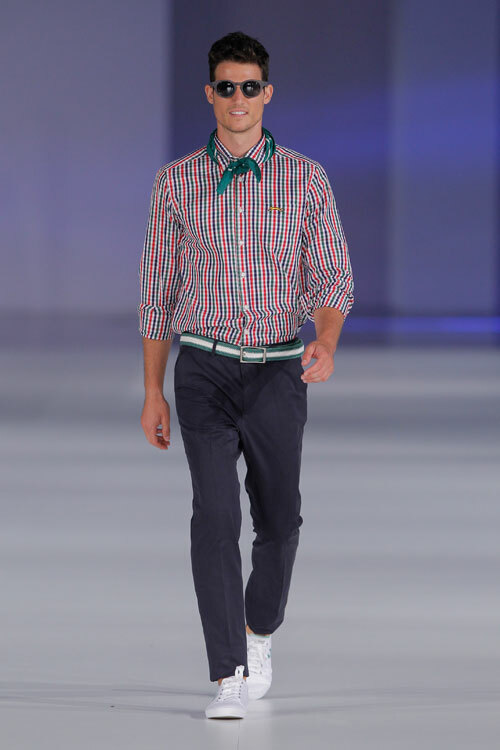 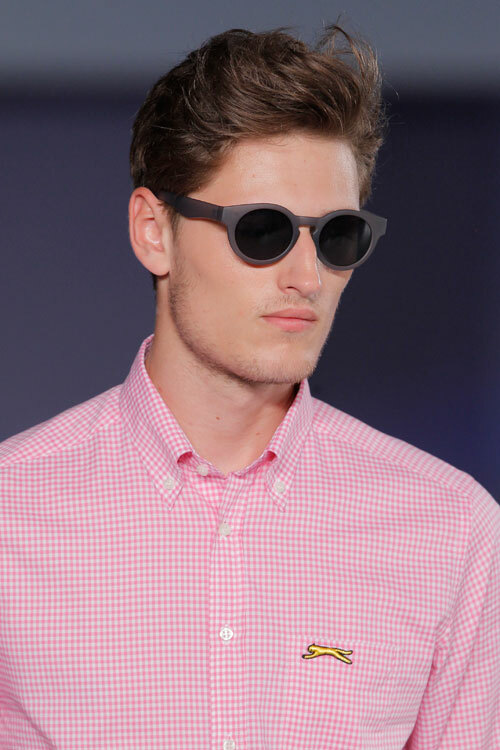 Summer is the time for prints, which break up the monotony taking risks mixing colours. 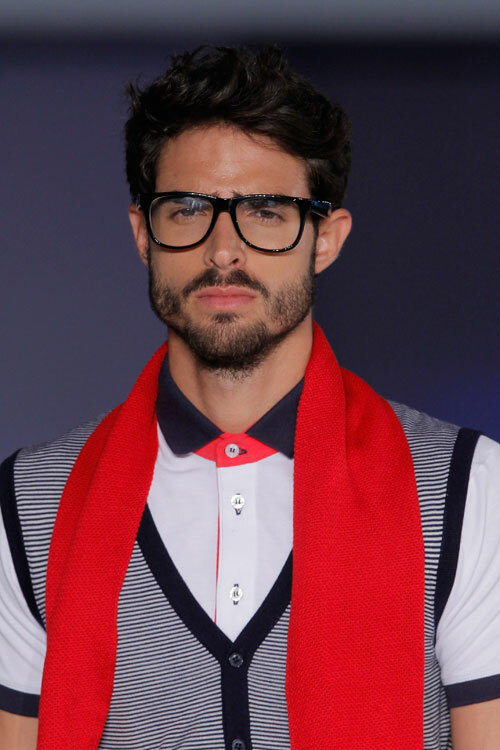 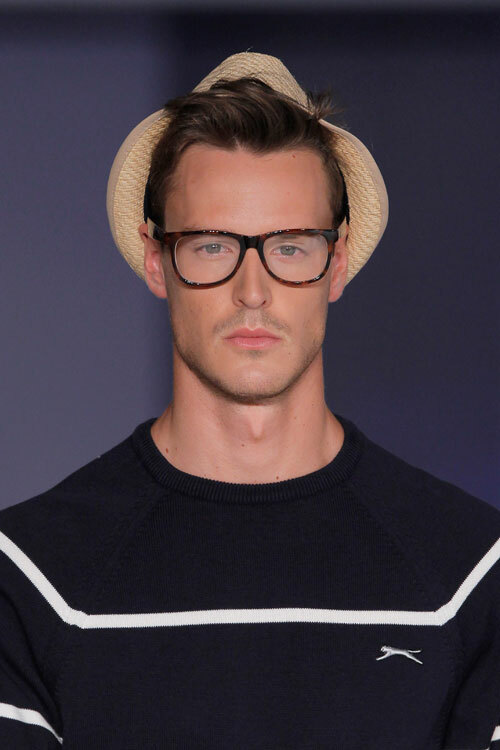 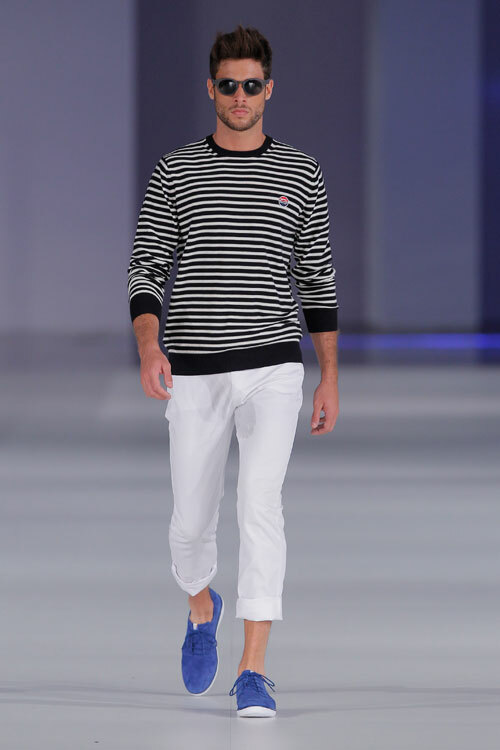 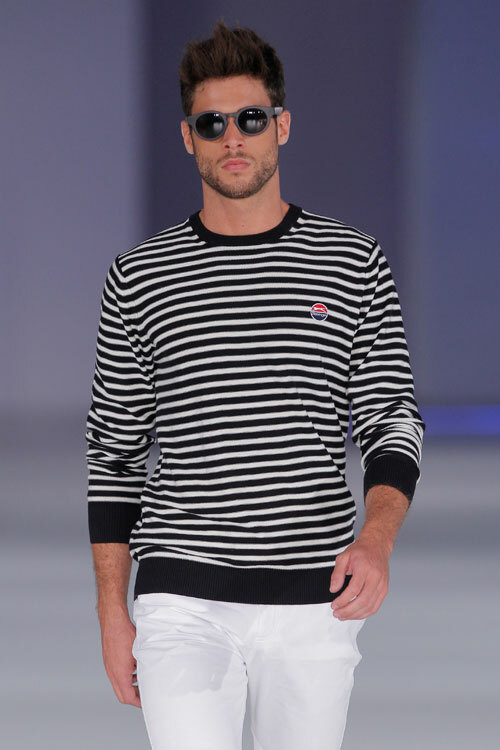 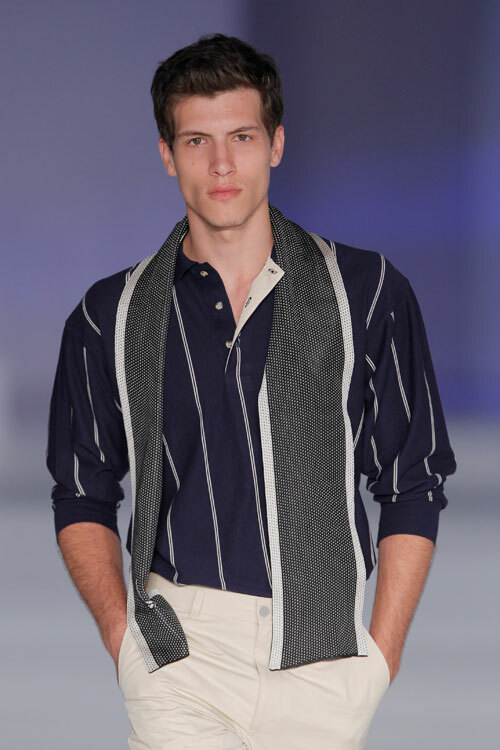 The stripes are back in force this season and are combined in different colours and styles.